I just started watching the anime and I haven't read much of the manga so I don't know if it is explained further on. 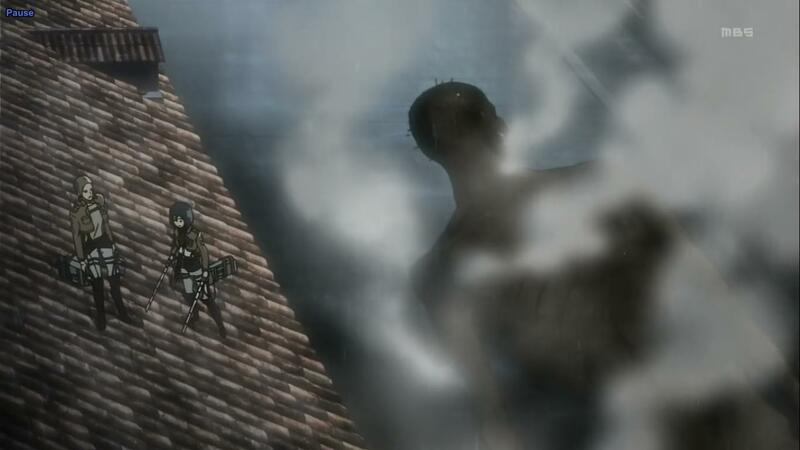 We all know a Titan's body gives off extreme heat, from an encounter Eren had with the Colossal Titan and an episode where they learned this in class. 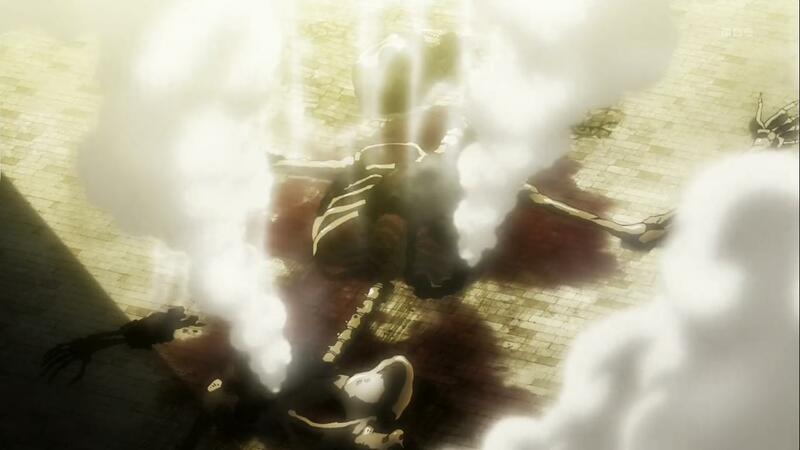 In episode 6, when Mikasa killed a Titan, we saw the body still giving off heat..
..and a few minutes later it was pretty badly burnt, unrecognizable in fact. Later in episode 7 when Eren in his Titan form attacks another and beats it to a pulp, we see that the process has somewhat accelerated? At first I thought the body eventually burned away but this one was different than the first. All of the Titan's flesh was gone. So, what exactly happens to a Titan's body structure after it is killed? Does the heat burn it up now that it cannot regenerate or what? 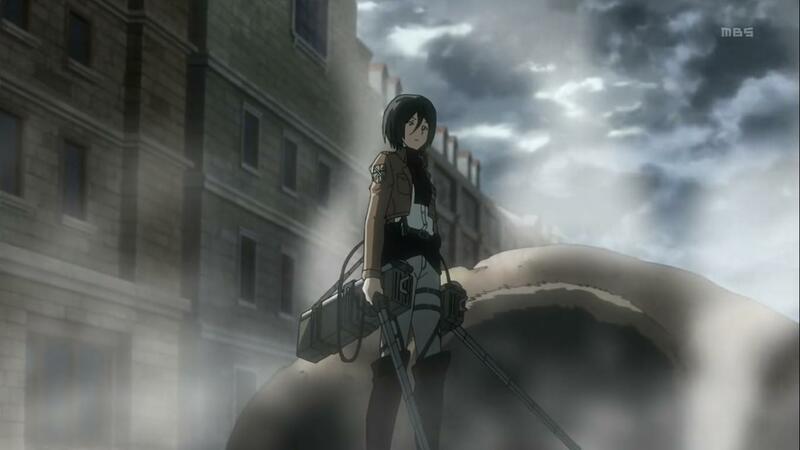 In the episode where Zoe Hange has those 2 captured titans (which she named "Sawney" and "Bean"), she mentions that the Titans seem unusually light for how large they are, and that a severed arm of one of the titans weighed nothing, which allows such large bodies to move so quickly with great agility. Though, at least so far in the anime and manga, there's no explanation to their physiology or what exactly happens after they die, it's probably the case that their solid state is being maintained by their mysterious "power source" and that once the source of power is gone (and thus cannot regenerate), their physical bodies (sans skeleton) return to the form of some type of gas. Without this "power source", the flesh returns to the gaseous state and evaporates. This may or may not have to do with the extremely high body temperature that the titans have. Because Titans are so big and they move with such speed and force they are constantly producing enough heat to burn flesh (remember when Hanji touched Eren's arm when he tried to pick up the spoon and it scalded her after a second?) So when the Titans die, they stop regenerating and the heat begins to damage the flesh resulting in them burning. Eren bursts into flames increasing his body temperature to such a degree his Titan form is in overdrive, making him essentially a "Super Titan", but if you notice, he doesn't regenerate at all in this form because he's so hot his regeneration can't keep the damage at bay. Just a guess, but it would fit the idea of the anime. I once read something about them. It said that some titans mass is so big it traps the heat in it that causes their blood to boil as same as the colossal titan which releases steam because it's so big. So when the blood is exposed to light, the blood gets hotter and dissolves the flesh. Maybe the light is a heat source that titan shifters store in their bodies while human and uses it in titan mode. Titans actually get their power from sunlight. Major Zoe Hange says this as when she deprives them of light they seem to deactivate and can't do anything. Annie didn't want to go into the dark because she couldn't transform in the dark area, and also Eren when he kept biting his hand but there was no sunlight, he couldn't transform. Light shines when the titan shifters change, and the light seems to come from the sky so my guess is that it is sunlight. Also the nape seems to be a solar panel because when cut the titans go out like light. Blow out a candle and see what happens smoke goes out; the titans seem to be hard light manifestations. So in conclusion titans are like fire and the nape is like were they get their source. Titans fade away when they die like smoke. What happens to humans inside titans when they die?